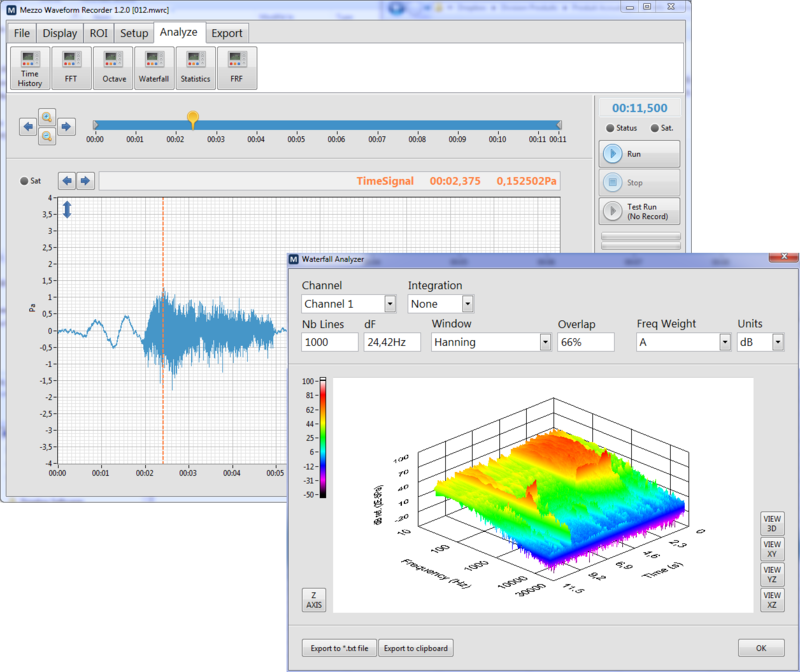 The MEZZO 2-Channel Analyzer provides an innovative and cost-effective solution for noise and vibration analysis. More than just a DAQ system, the DSP embedded in each MEZZO 2-Channel Analyzer ensures real-time signal processing. 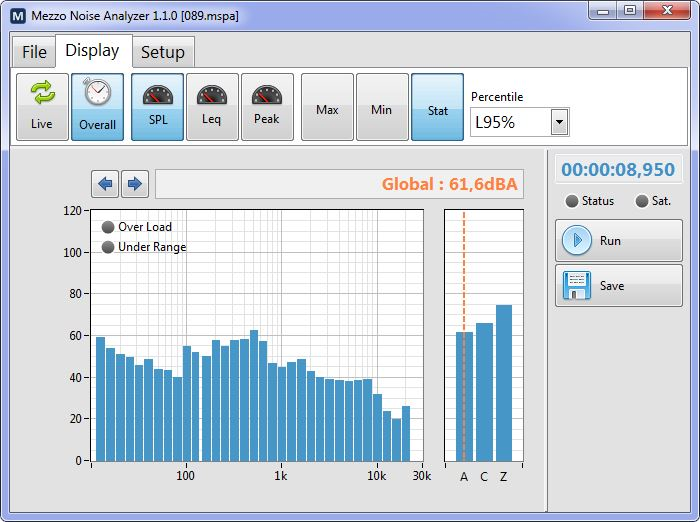 Designed to be used with a tablet PC or any other Windows-based PC, the MEZZO 2-Channel Analyzer benefits from the versatility and flexibility provided by computers. The Building Acoustics Module is the perfect tool for the noise specialist providing an integrated project file with on-site reports. 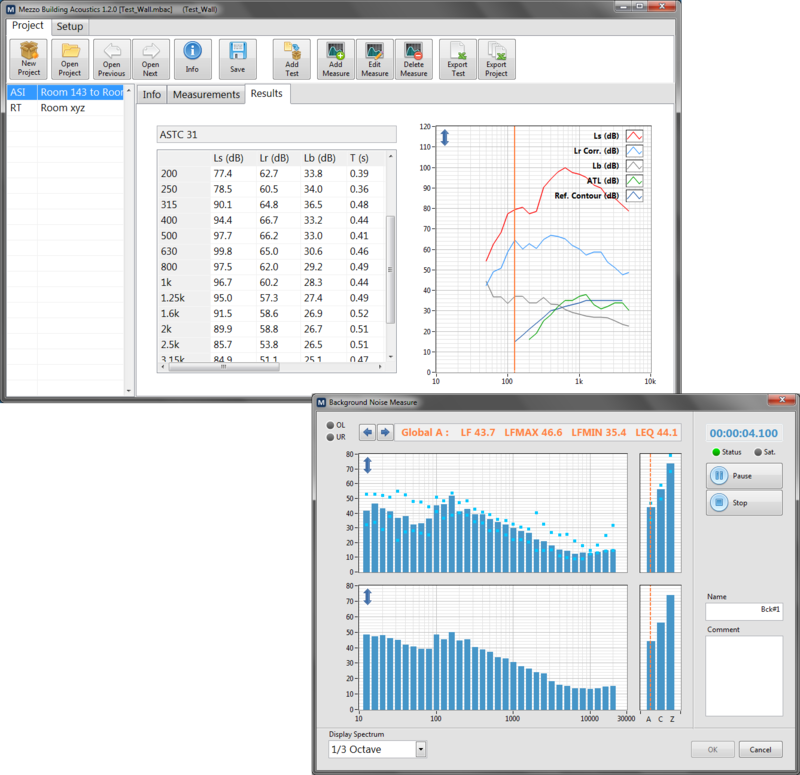 The Building Acoustics uses a project file approach combining measurements and test reports in a single file. This approach makes it easy to manage a large quantity of measurements and provide on-site reports. The on-site reporting allows not only to view the test result instantly, but also to make sure that no measurement was forgotten.